It seems odd to pious readers that Luke speaks of the Holy Family's need to be "purified". Let's talk about what's going on here. To be clear: ritual impurity did not necessarily involve "sin", though sin was a kind of impurity (cf. see Jonathan Klawans, Impurity and Sin in Ancient Judaism, 158). A woman was not a "sinner" because she had given birth. In fact, the first divine command in the Torah is "be fruitful and multiply" (Gen 1:28). Without giving a long explanation, we can simply say here that the purity laws were essentially "symbolic". Jacob Milgrom has shown that things associated with "death" were linked with "impurity" (e.g., touching a corpse)(cf. Milgrom, Leviticus 1-16, 1002–3). The purity system thus underscores that God is the Lord of life. Another approach is that of Mary Douglas, who has tied purity to the idea of God's "order" and purpose in creation (e.g., creatures that depart from the norm, i.e., fish that do not have fins and scales, are unclean). The Church fathers made the case that the purity laws were given to Israel to teach them to reject the ways of the nations and to, in a sense, quarantine Israel from their neighbors. The more recent analysis offered by Jan Assmann would seem to support aspects of this theory (Moses the Egyptian). Without offering a long explanation, it seems to me that the purification laws had a multi-faceted purpose. But, as scholars have long noted, this still doesn't get at why Luke speaks of "their" and not "her" purification. Some would suggest that the "their" is a reference to Jesus and Mary, but, in context, that does not work. The next line tells us, "They took him up to Jerusalem" The "they" is clearly Joseph and Mary. Some suggest that Luke was just confused on this point, but there are other possibilities that should considered. In fact, Darrell Bock has shown that Luke's language is too precise to lead us to think he is simply ignorant here (Proclamation from Prophecy and Pattern: Lucan Old Testament Christology [JSNTSup 12; Sheffield: Sheffield Academic Press, 1987), 84-88. Perhaps Luke was hesitant to speak of Mary as unclean. A close look at the previous narrative, i.e., Mary's visit to Elizabeth, seems to describe Mary in terms reminiscent of the ark of the covenant (go here for more on that). However, since "their" would still implicate Mary in the purification process, I don't think this option explains what is going on here. Perhaps Joseph and Mary both underwent purification because in the birth of Jesus Joseph was rendered ritually impure somehow. Although this is speculative, it would cohere well with the regulations of the Mishna (m. Nid. 1.3-5; 2.5; 5.1). Of course, there are dating issues with these traditions but they may help shed light here. Another possibility is that since Joseph and Mary were about to dedicate the child Jesus in the temple, they both went through a purification process in order to prepare for this event. While this is conjecture, we simply cannot rule out the possibility that Luke may be a witness to an ancient custom that is otherwise unattested. After all, we know that purifications were often practiced that went beyond what the Law stipulated. Perhaps such is the case here. Whatever the case may be, it is clear that Mary and Joseph are described as concerned for proper Torah observance. 2. The Holy Family offers two turtle doves. Mary and Joseph offer two turtle doves. Such is the offering of the poor in Leviticus 12:8. The usual sacrifice would have been a lamb. The scene helps more deeply appreciate the poverty of the Holy Family and, of course, the humble circumstances of the Messiah's birth. 3. The meaning of "presentation". The precise language of Mary and Joseph "presenting" the child Jesus in the temple is significant. On one level it recalls figures such as Samuel, who in the Old Testament were dedicated to God from their youth by their parents. However, there seems to be more than just a "dedication" going on here. The word translated, “to present", is paristēmi. As Pope Benedict observes in volume 3 of his work, Jesus of Nazareth, the term is specifically used for "presenting" a "sacrifice". See, for example, Romans 12:1: "I appeal to you therefore, brethren, by the mercies of God, to present [paristēmi] your bodies as a living sacrifice, holy and acceptable to God, which is your spiritual worship." 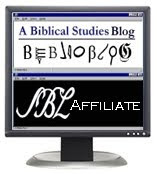 It seems that for Luke Jesus is in the temple as the sacrifice. Later, Luke will make it abundantly clear that Jesus offered his life as a sacrifice (see, e.g., Jesus eucharistic words at the Last Supper). Here Jesus' sacrificial death is anticipated, though obviously in an obscure way. Simeon announces that while Christ is the "glory" of God's people, Israel, he will also be rejected. Mary is told that her soul will be pierced so that "the thoughts out of many hearts will be revealed" (Luke 2:35). John Paul II noted that this aspect of Jesus' mission was not mentioned at the Annunciation and calls Simeon's speech as "second Annunciation". 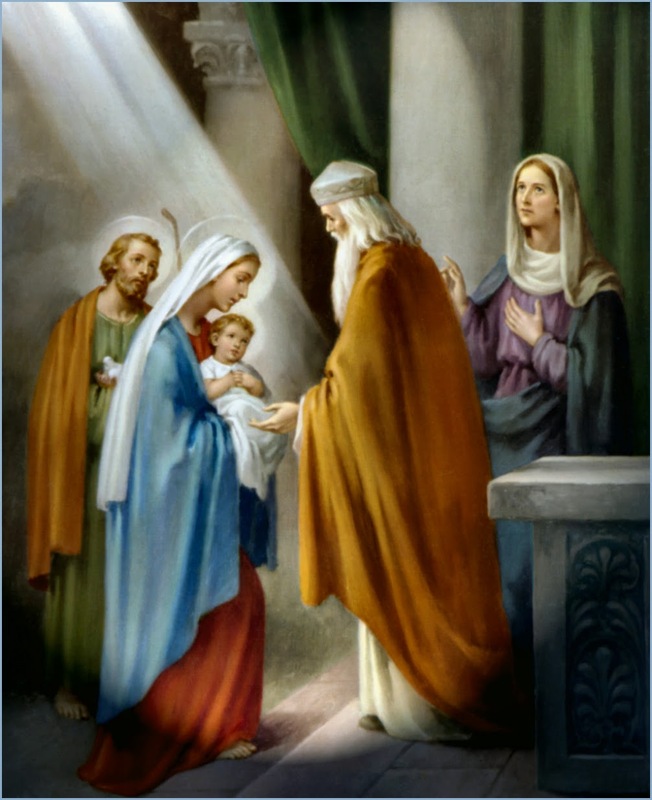 After recognizing in Jesus "a light for revelation to the Gentiles" (Lk 2:32), Simeon announces to Mary the great trial to which the Messiah is called and reveals her participation in that sorrowful destiny. His reference to the redeeming sacrifice, absent at the Annunciation, has shown in Simeon's prophecy almost a "second Annunciation" (Redemptoris Mater, n. 16), which will lead the Virgin to a deeper understanding of her Son's mystery. Much could be said here. Suffice it to say, Mary is so closely united to her son that she will participate in his redemptive suffering. The glory of God's people is a sign that is rejected. It seems hard to imagine how this could be true and yet this is Luke's message; the Messiah himself is to be rejected. I might close out this commentary with a corresponding thought. This Sunday's Feast is a time for all Christian families to reflect on they might better imitate the model family of Nazareth. Of course, since Christ was a sign of contradiction, Christian families must be prepared to live lives that are also counter-cultural. The Christian family will not prioritize things that a materialist/capitalist society values. True "worth" is not found in how much money we can make. Family time, worship, prayer, etc., is more important than unnecessary "overtime" that is oriented towards acquiring surplus goods. Spiritual goods are to be privileged over material goods. The world won't get that. But that's what I think it means to be a sign of contradiction in our day. Have a Happy Feast Day!